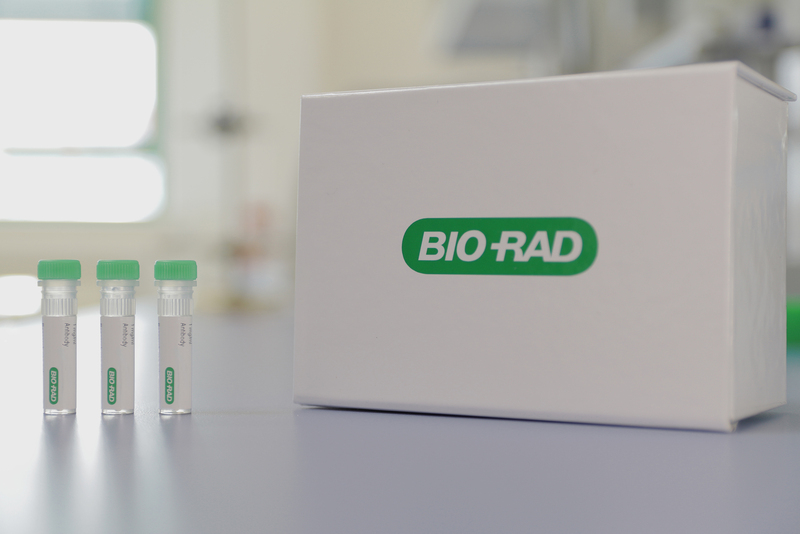 Bio-Rad Laboratories, Inc. (NYSE: BIO and BIOb), a global leader of life science research and clinical diagnostic products, today announced the launch of a range of anti-idiotypic antibodies targeting the immune checkpoint inhibitor drugs: pembrolizumab (Keytruda) and nivolumab (Opdivo). Anti-pembrolizumab and anti-nivolumab antibodies are designed for use in bioanalytical assays to monitor the drug levels in cancer patients. Pembrolizumab and nivolumab have recently been approved for the treatment of multiple cancers including non-small cell lung cancer, head and neck squamous cell carcinoma, and metastatic melanoma. Bio-Rad’s anti-pembrolizumab and anti-nivolumab antibodies inhibit the binding of the drugs to their target, programmed cell death protein 1 (PD-1), enabling the free drug to be detected. Bio-Rad’s anti-idiotypic antibodies are generated using Human Combinatorial Antibody Library (HuCAL®) and CysDisplay®, a proprietary method of phage display with guided selection methods to obtain highly targeted reagents. The recombinant production method also ensures a consistent and secure supply.